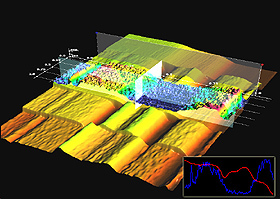 ScienceGL, Inc. develops leading edge 3D and 4D data visualization software for science, health care, technology and business applications. Our unique set of interactive measurement tools was specifically developed to enable fast and accurate data analysis across the fields of Science, Technology, Education, and Business. We provide advanced multi-dimensional data visualization software and hardware that help our customers to analyze and understand what matters the most. We believe that critical decision making that involves massive amounts of complex multidimensional data requires more advanced and interactive visual representations than simple tables, pie-charts, and line-charts. Our 3D, 4D, and 5D visualization engines provide a unique combination of speed, realistic visual impact, and fully interactive interface. 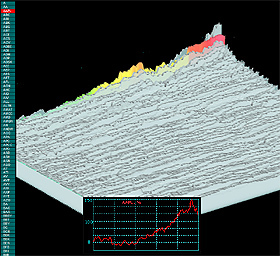 4D volume visualization, voxel data processor, Voltex direct volume visualiztion. Copyright © 2003-2014 ScienceGL, Inc.